Anterior cruciate ligament (ACL) injuries are an extremely common and costly injury in the general and sporting population. The most common mechanism for injuring your ACL occurs with a twist and pivot motion of the body with a planted foot. Other mechanisms include direct trauma or excessive stress from landing from a jump incorrectly, hyperextending the knee or direct contact from an opposition player. The clinical diagnosis of an ACL injury is generally formed by a combination of mechanism of injury, patient reporting giving way, positive Lachman’s or Pivot test for laxity and is then confirmed by MRI. Physiotherapists are the best professionals to undertake the initial assesment and follow-up care of patients with ACL injuries, given our knowledge and training in musculoskeletal and pain management. An integral part of ACL rehabilitation is to regain the functional control of the knee to make up for the reduced mechanical restraint. The key pillars of rehabilitation should contain aspects of strength and power training, along with neuromuscular control and proprioceptive retraining. Strength and power should not be focused solely on the quadriceps. The lower limb kinetic chain approach would place importance on strengthening calves, gluteal and trunk muscles as well. Performing strength exercises on equipment such as Bosu balls, foam mats and mini trampolines can add the extra difficulty to challenge the neuromuscular and proprioceptive systems. As this is what the ACL deficient knee will need to regain the functional control and to build the client’s confidence and trust back with their injured knee. 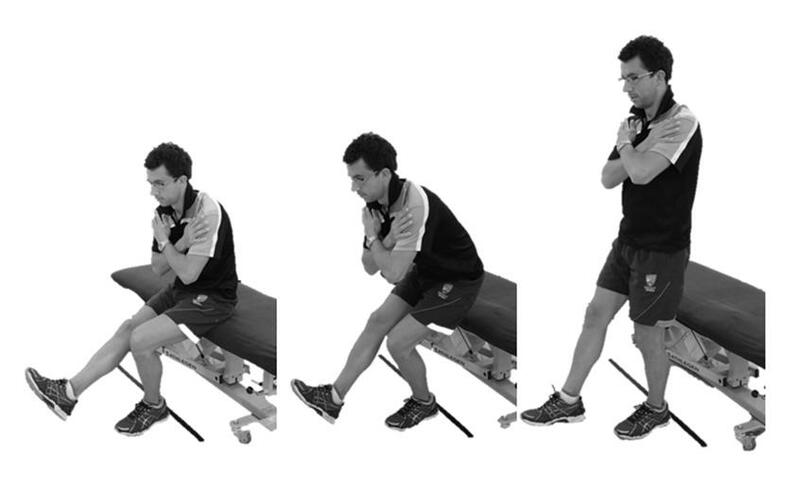 Functional performance tests, such as hop tests, are commonly used by physiotherapists to evaluate recovery after ACL injury and reconstruction. Performance on these functional tests can provide valuable information on future risk of knee symptoms, impaired quality of life, ACL rupture and other knee injuries. They make up a vital part of the clinical decision on when to progress patients to the next stages of rehabilitation such as when an athlete can safely return to sport following their ACL injury. As a guide to returning to sport if you can achieve >90% in distance, time and strength capacity of deficient compared to non-deficient leg, on the hop and strength tests above it has been shown to reduce the risk of reinjuries (Grindem et al., 2016, Kyritsis et a., 2016). Delincé, P. and D. Ghafil (2013). "Anterior cruciate ligament tears: conservative or surgical treatment?" Knee Surgery, Sports Traumatology, Arthroscopy 21(7): 1706-1707. Frobell RB,Roos HP,Roos EM,Roemer FW,Ranstam J,Lohmander LS(2013). Treatment for acute anterior cruciate ligament tear: five year outcome of randomised trial. BMJ.Jan 24;346:f232. Grindem H, Eitzen I, Moksnes H, Snyder-MacklerL,Risberg MA (2012) A pair-matched comparison of return to pivoting sports at 1 year in ACL-injured patients after a nonoperative versus operative treatment course. Am J Sports Med40(11): 2509–2516. Grindem H et al (2016). Simple decision rules can reduce reinjury risk by 84% after ACL reconstruction: the Delaware-Oslo ACL cohort study. Br J Sports Med.2016 Jul;50(13):804-8. doi: 10.1136/bjsports-2016-096031. Epub 2016 May 9. Hurd WJ, Axe MJ,Snyder-Mackler L(2009) Management of the athlete with acute anterior cruciate ligament deficiency. Sports Health1(1):39-46. Kyritsis Pet al (2016). Likelihood of ACL graft rupture: not meeting six clinical discharge criteria before return to sport is associated with a four times greater risk of rupture. Br J Sports Med.2016 Aug;50(15):946-51. doi: 10.1136/bjsports-2015-095908. Epub 2016 May 23. Smith TO,Postle K,Penny F,McNamara I,Mann CJ(2014) Is reconstruction the best management strategy for anterior cruciate ligament rupture? A systematic review and meta-analysis comparing anterior cruciate ligament reconstruction versus non-operative treatment. The Knee21(2):462-70.